With their third album War in early 1983, U2 fully arrived on the international music scene and has remained on the top echelon ever since. A commercial success for the band, the album topped the U.K. charts and reached #12 in the U.S. Further, it found the band forging their definitive sound for the first time under the guidance of producer Steve Lillywhite, who introduced the band some new recording techniques. Among these was the incorporation of a “click track” to keep perfect time, an idea that drummer Larry Mullen, Jr. was initially against. However, he did relent and the album ended up being a real showcase for Mullen. 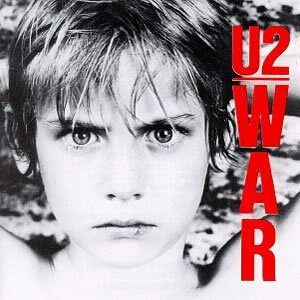 The album got its title from the band’s perception of the world at the time, or as lead vocalist Bono put it; “War seemed to be the motif for 1982.” The title was also a concerted effort by the band to branch out into “heavier” theme, as they felt that critics had taken the music from their first two albums, Boy and October, lightly. Being an Irish band, U2 was in a unique position to address the troubles in Northern Ireland, and hit that head on with this album. Still, U2 was cognizant that such heavy themes could backfire with mainstream listeners, so they also worked hard to compose melodic and more direct tunes. Lead guitarist The Edge uses far less delay and echo than previously and experiments with differing guitar textures throughout, adding to the overall sonic atmosphere of passion. As a counter-balance, bassist Adam Clayton provides the “glue” musically with simple, strong, and direct bass lines. With these carefully balanced dynamics, U2 found their formula for success throughout the rest of the decade. 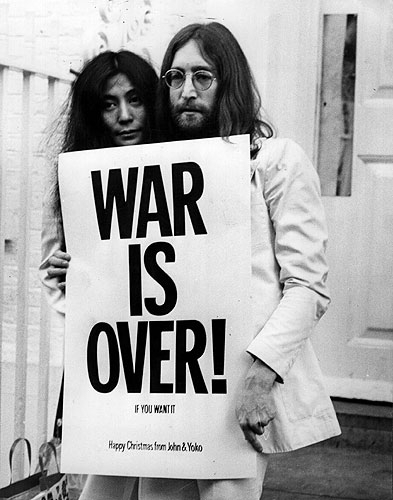 Although all songs on War are credited to the entire group, in reality certain tunes were largely composed by individuals. “Sunday, Bloody Sunday” was composed by The Edge, and has remained one of the most indelible tunes of the band’s career. From its opening martial drumbeat, featuring a heavy hat and beat by Mullen to the simple, raw guitar variations accompanied by some strategic violin by guest Steve Wickham, the song is a unique musical experience. Add the passionate vocals (including some great backing vocals by The Edge), which describe the Bloody Sunday events of 1972, and you have a rock and roll classic. The other popular “hit” from the first side, “New Year’s Day”, was originally written by Bono as a love song to his new bride but later morphed into an ode to the Polish Solidarity movement. Clayton’s distinctive bass line drives the song while The Edge alternates between the signature piano line and several guitar textures, including an actual rock guitar lead. Overall, the song portrays a great atmosphere with the optimistic fantasy of unity and theme of starting over, and became the group’s first Top Ten single in England. The rest of side one contains solid tracks which compliment each other nicely. “Seconds” contains another wild beat by Mullin above a strummed acoustic guitar. Although a little unfocused and a bit busy, the song is original and entertaining. “Like a Song…” sticks to the formula on the first side, although it does get pretty intense as it progresses. “Drowning Man” is acoustic and haunting – almost jazzy – with trance electric guitars above strummed acoustic and deeper sounding vocals by Bono. The best pure pop song on album (and perhaps of any early-era U2) is “Two Hearts Beat as One”. While still just slightly unfocused and edgy, this tune is held together by the superior composition and pure performance by the whole band, especially Bono on vocals. A propulsive bass line by Clayton and a fantastic counter-melody by The Edge during the chorus push this song to the top level of any U2 classic. The song became a hit in several nations as well as a rare staple of the dance floor for U2. “The Refugee”, on its surface is a new wave motif, almost to the point of absurdity. Yet it is still oddly entertaining based mainly on the odd guitar textures by The Edge. The album’s closing tracks include a couple featuring the background chorus from the group The Coconuts. 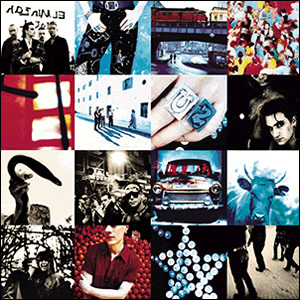 “Red Light” is the closest to a pure rock song on this album, with Bono singing in more contemporary manner and more rock-oriented guitar riffing, a sound that U2 would morph towards in the future, starting with Achtung Baby in the early 1990s. “Surrender” is danceable, almost post-disco and could be a decent pop song in its own right with rapid verse lyrics and sustained chorus. The album concludes with “40”, which was written and recorded right at the end of the sessions, allegedly in less than an hour. 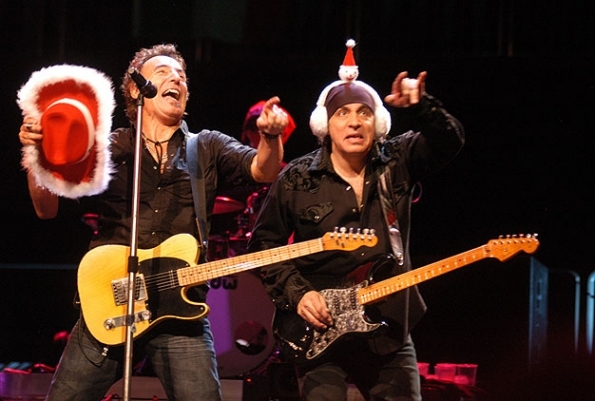 With Clayton having already left the studio, The Edge plays both the electric and bass guitar, while Bono based the lyrics on Psalm 40 from the Bible. 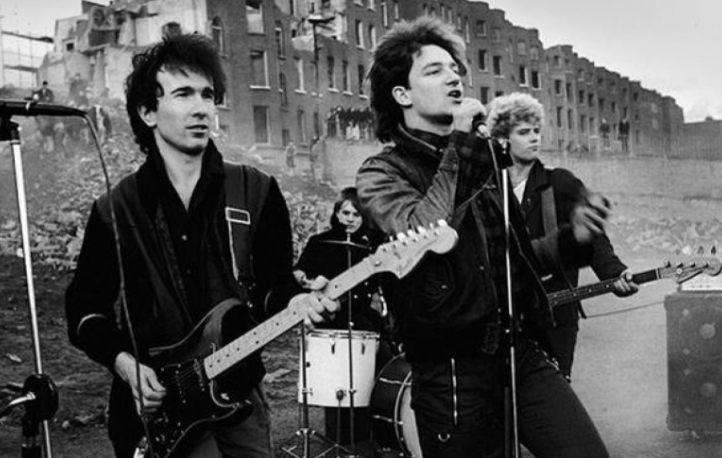 U2 toured relentlessly in support of War, starting in December 1982 (prior to the album’s release) through most of 1983. The tour spawned a concert film Live at Red Rocks and an accompanying EP, Under a Blood Red Sky, which further increased the band’s exposure and live appeal. 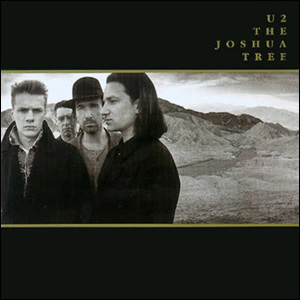 The Joshua Tree was the long-awaited fifth studio album by U2, released in the spring of 1987. Although not a true “concept” album, it was uniformly inspired by the United States and the geography, literature, and politics and the nation the band so often toured in the early part of their career. 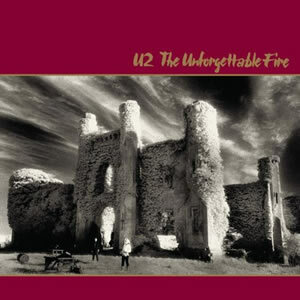 U2 released four studio albums in the relatively short period of 1980-1984, culminating with The Unforgettable Fire, their widespread commercial breakthrough. They began writing new material in mid-1985 and began recording in Ireland at the start of 1986. However, this fifth album took a long time to formulate and produce, building much anticipation among fans. The Joshua Tree was produced by Daniel Lanois and Brian Eno, who both worked with the band on the band on The Unforgettable Fire and whose goal was a harder rocking sound for the band while still exploring unconventional song structures. Throughout the 1986 sessions, U2 strove for a “cinematic” quality for the record, embedding American scenery as a backdrop to the soaring sound scapes and lyrics. Many of those lyrics were influenced by American writers that lead vocalist Bono had been reading at the time. 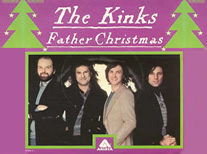 Musically, although all the group members had different ideas on how to approach this album, they all agreed that they felt disconnected from the dominant synth pop and other musical trends of the time. Most of the recording was done in a Georgian house, with the dining room and drawing room used for recording and performing. After completing the album, Bono said he thought that The Joshua Tree was their most complete record since their first. 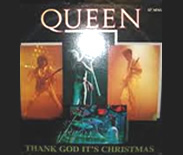 This opinion was born out with its commercial and critical success as the album became the fastest-selling album in British history to date, selling over a quarter million copies in two days. 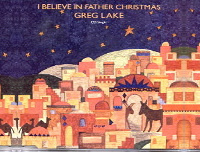 It reached number one within two weeks of release and spent over three years on the album charts. The Joshua Tree topped the albums charts in 20 total countries. 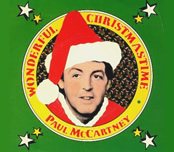 Ultimately, the album sold over 25 million copies worldwide and topped several publication’s lists of album of the year for 1987 including, of course, our’s. 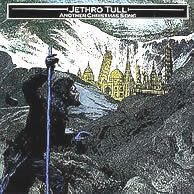 The album starts out with a great, nearly two minute, anticipation building intro to “Where the Streets Have No Name”, a top twenty hit worldwide. The intro provides a smooth synth pad rise that gives way to the hyper arpeggio riff by guitarist The Edge, who joined by an equally intense rhythm section throughout the song. Due to its multiple time signature shifts, Lanois called this “the science project song”, while Eno estimated that half of the album sessions were spent trying to record a suitable version of the song. Bono wrote the lyrics while on a visit to Ethiopia, which at the time was devastated by famine. “I Still Haven’t Found What I’m Looking For” originated from a rhythm pattern by drummer Larry Mullen, Jr. with lyrics influenced by American gospel music. 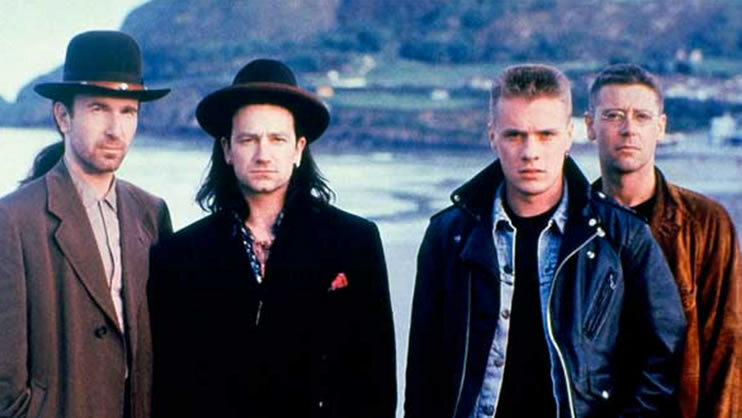 Nominated for Song of the Year, a the 1988 Grammy Awards, its lyrics describe spiritual yearning, accented by Bono’s vocal soul desperation and accompanied by The Edge’s guitar chime riff. 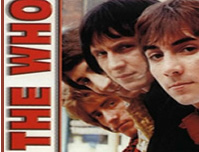 The song’s title was influenced by Bob Dylan’s line from the song “Idiot Wind”; “You’ll find out when you reach the top you’re on the bottom…”, suggesting the recurrence of life and the infinite quest for happiness. “With or Without You” was the band’s first single release and one of the oldest compositions on the album, dating back to 1985. Bassist Adam Clayton provided a pulsating bass line as a canvas to slowly developing, ambient guitar notes and dynamic vocals. The song was originally rejected by the band and producers but Bono reworked an arrangement with friend Gavin Friday and gave the song a second life. The lyrics address marriage from the perspective of a popular musician and the contrast between life on the road and domestic life. “Bullet the Blue Sky” is an equally simple song but with an entirely different, intense approach. Written about American involvement in the El Salvador Civil War of the 1980s, with aggressive and growly vocals and an intense rhythm. Latin America was also the subject of the album’s closing song “Mothers of the Disappeared”, written about the “Madres de Plaza de Mayo”, a group of women whose children had been “disappeared” under various dictatorships. Some of the lesser known songs on the album explore various sub-genres of American music. “Running to Stand Still” is influenced by acoustic blues with a lyric that looks back at the band’s native Dublin, Ireland. “Red Hill Mining Town” is a blue-collar folk song, directly influenced by Bob Dylan, who Bono met for the first time in 1984. 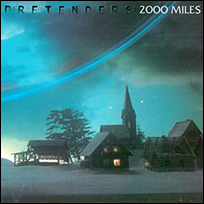 “Trip Through Your Wires” contains a definite nod towards blue-eyed soul, while “Exit” captured the band in a live studio jam with lyrics influenced by Norman Mailer’s The Executioner’s Song. The western desert was greatly symbolic on The Joshua Tree (which itself is a national monument in the Mohave Desert) and “In God’s Country” puts that image to music beautifully. It was the band’s most overt attempt at a contemporary rock song on the album while still containing some trademark guitar licks and rhythms. The up-tempo song was difficult to records musically and early versions of the song were written about Ireland before the shift was made to America. “One Tree Hill” was the fifth and final overall single from the album and was written in dedication to the band’s former roadie Greg Carroll, who was killed in a motorcycle accident in Dublin in 1986. Following the funeral in New Zealand, Bono wrote the lyrics to “One Tree Hill”, which he dedicated to Carroll. 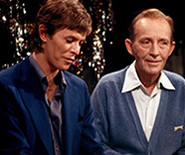 This song has been described it as “a soft, haunting benediction” and describes a volcano near Auckland, New Zealand, where Carroll was a native and where the band first worked with him in 1984. U2 has had a long and storied career which continues into its fourth decade. The Joshua Tree has been the apex of this long career and has held up excellently a quarter century later. In our 15 reviews of 1987 albums, re elected 25 years later, we’ve featured several that marked an artist’s commercial and creative peak. 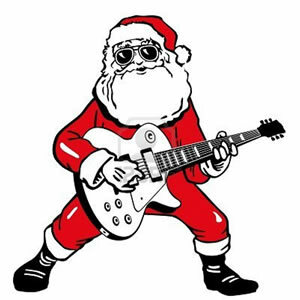 However, unlike any of those others, U2 has persevered over the subsequent decades and continued to release quality and relevant material right up through the present day.